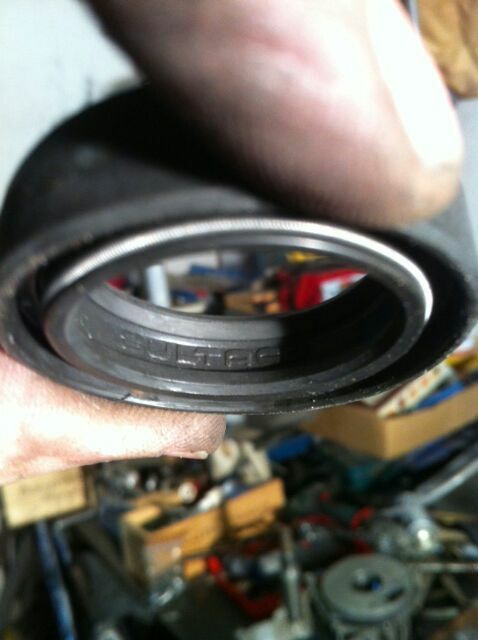 You can see seal original is Bultaco brand!!!! 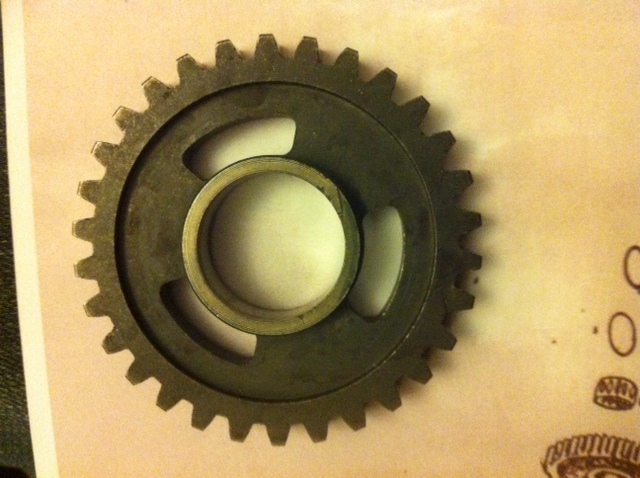 Hi James, yesterday I was cleaning up all the gearbox gears. 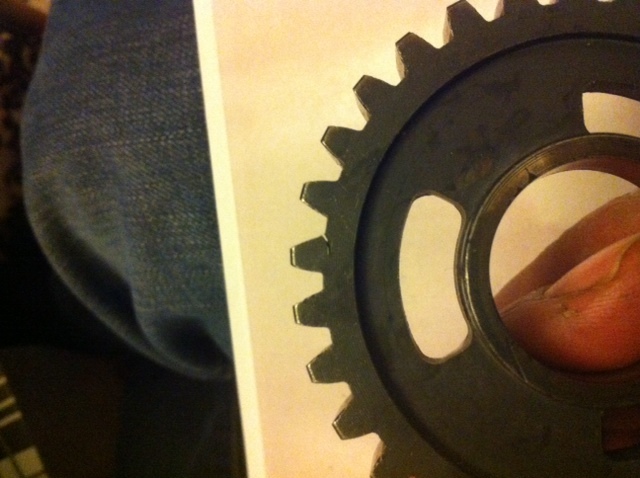 Unfortunately I have found the third gear pinion speed damaged. Today i speak when your friend and today send me a new unit. 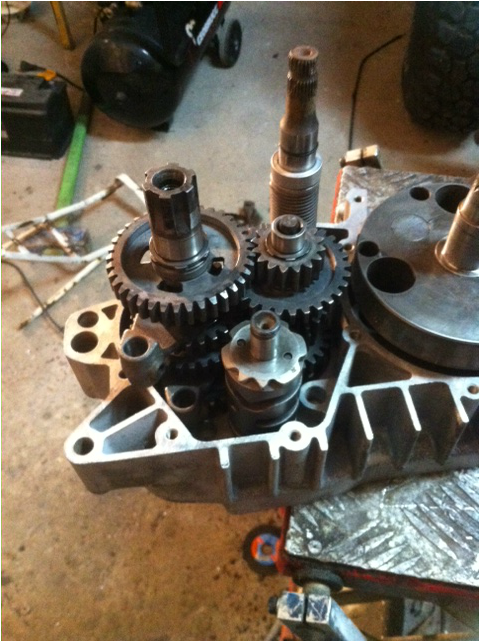 For this, the motor restoration is stop. 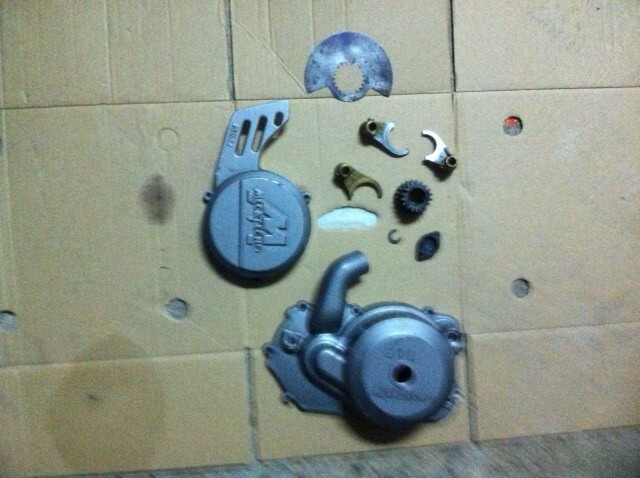 This weekend sandblaster all frame parts and nex week closed motor. 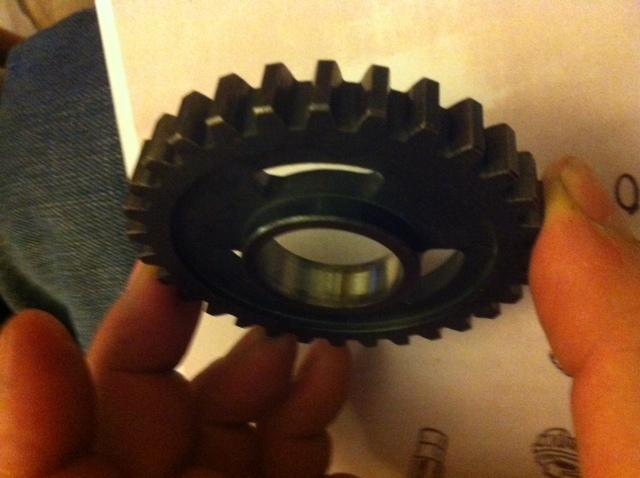 I located a new back rim complet and today have modificated clamps fork front. 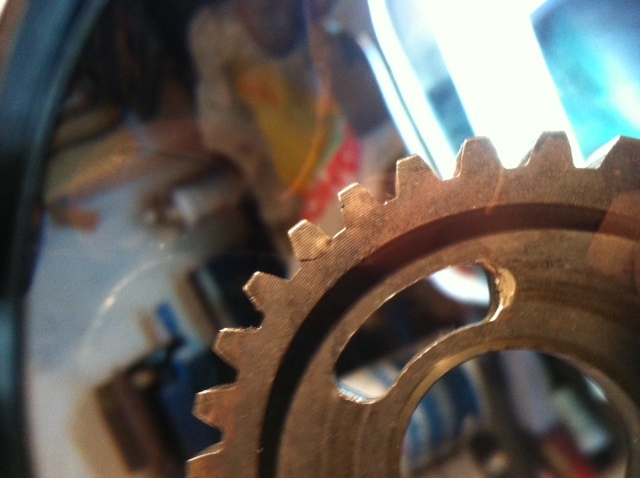 The gearbox is stripped down and now the gears have been removed they can be checked . FAG 6203........................1 unit rigt side gear box. 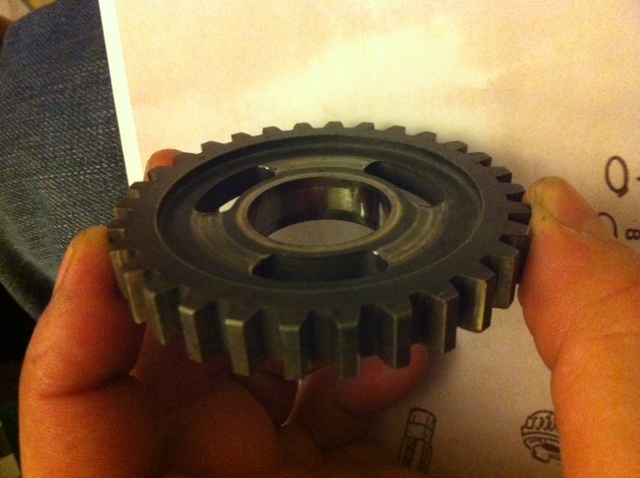 33-42-6....................1 unit Drum distributor gear box. 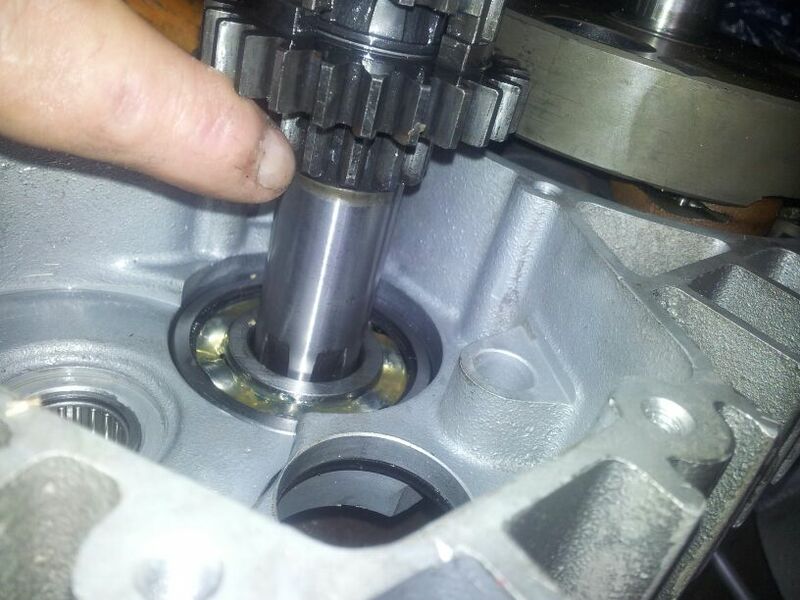 this is inter Gear box and oil cluch for no mixer oils. I go to find this material now. Jose needed some spares so i put him in touch with a man who has any Mecatecno spares at his home. You can see the small box of spares beneath . 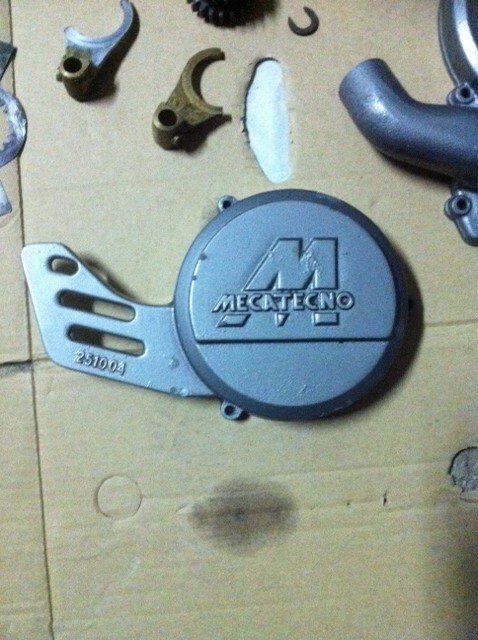 it contains the cracked gear cog , brass gear selector forks (which can wear on Mecateco's) and a rotary disc valve.He also managed to get both a magnesium clutch and magneto side casing to help finishing the project. 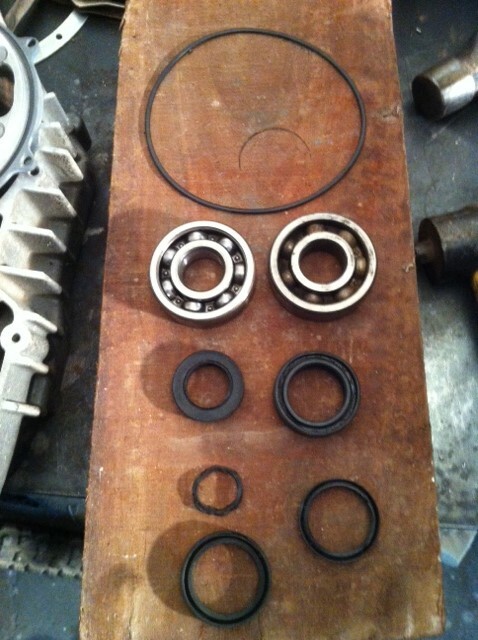 Hi James, I have sent to Mr Joan Ruiz to ask some spare parts. The engine in very good condition but needs some things. If the Mr Joan has everything i need will be best for me. I can make some things but i prefer if they are already made. 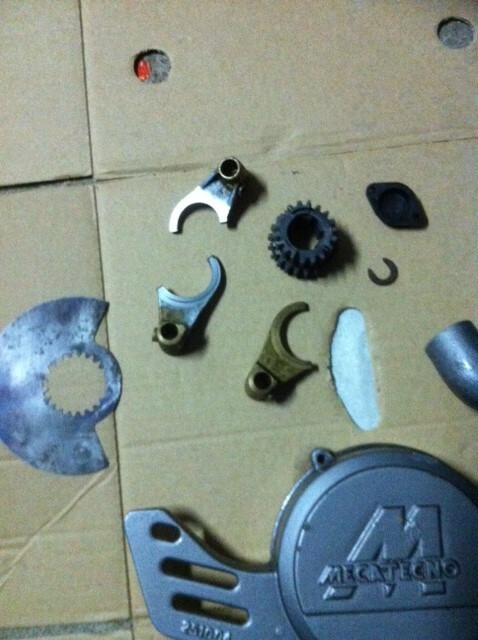 Tomorrow cleaning engine parts the i will clean and tidy and i'll send you more photos. Hello James. 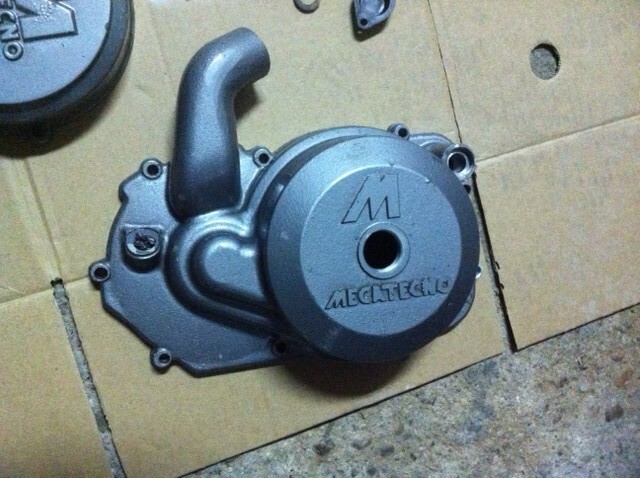 Tomorrow I'll send photo of the new parts. Your contact has been good guy, and is cheap. Is a nice person!